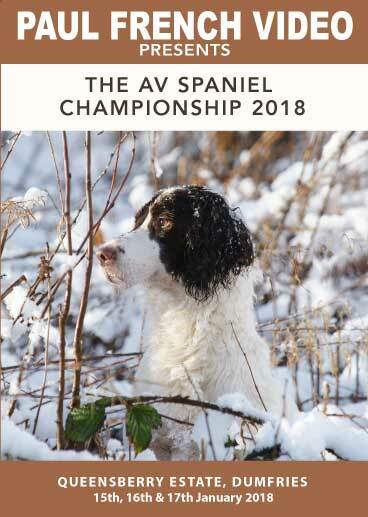 The Kennel Club's 88th Spaniel Championship for A V Spaniels (except Cocker Spaniels). 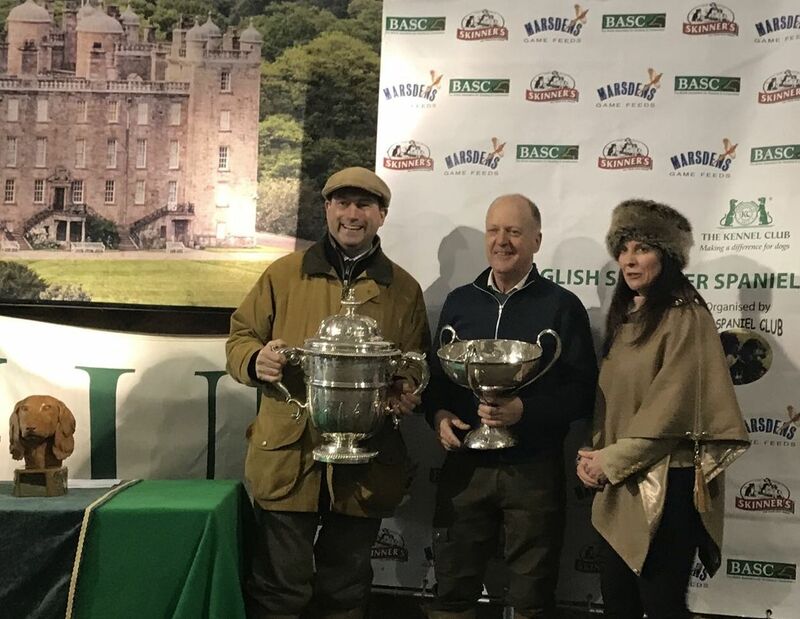 The Spaniel Club which organises the event, and competitors received a very warm welcome from His Grace The Duke of Buccleuch to Drumlanrig Castle and the Queensberry Estate for the 88th Spaniel Championship. The estate is well known for its sporting opportunities and has a particular interest in working gundogs. Rab Clark, Headkeeper, follows a family tradition and was in charge of ground preparation and was Steward of the Beat for the three days of the competition. The Championship judges were Alec Coutts, Carl Colclough, Dai Lloyd and Stuart Morgan.